Unbeaten but the silver medal her reward in the Cadet Girls’ Team event at the 2016 Czech Junior and Cadet Open; one day later on Sunday 12th February, the concluding day of action in Hodonin, once again there were no defeats against her name, only this time the colour of the medal was gold. Korea’s Byun Seoyoung secured both the Cadet Girls’ Singles and Cadet Girls’ Doubles titles. Furthermore, she gained an air of revenge; in the final of the Cadet Girls’ Team competition, she had beaten both Camille Lutz (7-11, 7-11, 11-6, 13-11, 11-6) and Prithika Pavade (11-2, 8-11, 11-5, 11-3) but alongside colleague Jung Dabin had experienced a crucial doubles defeat against the French partnership (9-11, 11-5, 11-9, 11-6). At the semi-final stage of the Cadet Girls’ Doubles competition Byun Seoyoung and Jung Dabin accounted for a different French combination of Isa Cok and Prithika Pavade (10-12, 11-7, 9-11, 11-9, 11-8), before securing the title at the final expense of Russia’s Elizabet Abraamian and Ekaterina Zironova (11-5, 11-8, 11-8). Success in the Cadet Girls’ Doubles event, later in the day it was Cadet Girls’ Singles success with a repeat of the previous day the scenario. Byun Seoyoung overcame Prithika Pavade in the final (11-3, 11-8, 11-6), having one round earlier defeated Camille Lutz (13-11, 11-9, 11-6). In the counterpart semi-final, Prithika Pavade had recovered from a two games to nil deficit to end the hopes of Italy’s Jamila Laurenti (8-11, 9-11, 11-9, 11-8, 11-5). Gold for Korea, on the concluding day of action, there was also gold for the host nation. Frantisek Onderka and Radek Skala emerged as the somewhat surprise winners of the Cadet Boys’ Doubles title; at the final hurdle they accounted for Poland’s Maciej Kubik and Samuel Kulczcki (11-6, 11-9, 5-11, 4-11, 11-8). Smiles on Czech Republic faces; as the day ended there were smiles on Japanese faces. 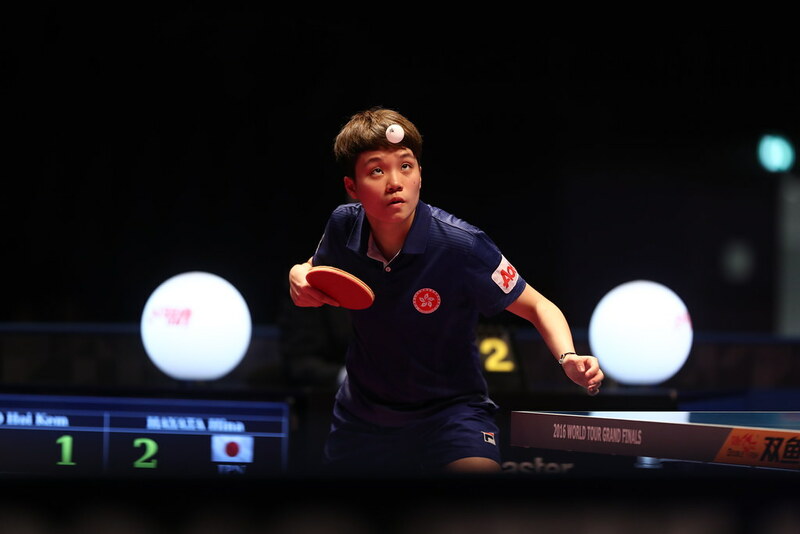 Hiroto Shinozuka, who the previous had joined forces with colleague Haruki Miyamoto and Montenegro’s Filip Radovic to win the Junior Boys’ Team title, emerged as the surprise winner of the Cadet Boys’ Singles event. Following success against Dorian Zheng of France, the no.3 seed, in the penultimate round (9-11, 11-7, 11-4, 12-10); after losing the first two games to Sweden’s Martin Friis, the no.4 seed, in the final, he won the next three to arrest the title (7-11, 8-11, 13-11, 11-7, 11-5). In the opposite half of the draw, at the semi-final stage, Martin Friis had accounted for Bilal Hamache, the top seed and like Dorian Zheng from France (11-3, 7-11, 11-6, 11-7). Play completed in Hodonin; attention now turns to the French Junior and Cadet Open; proceedings commence in Metz on Wednesday 15th February.